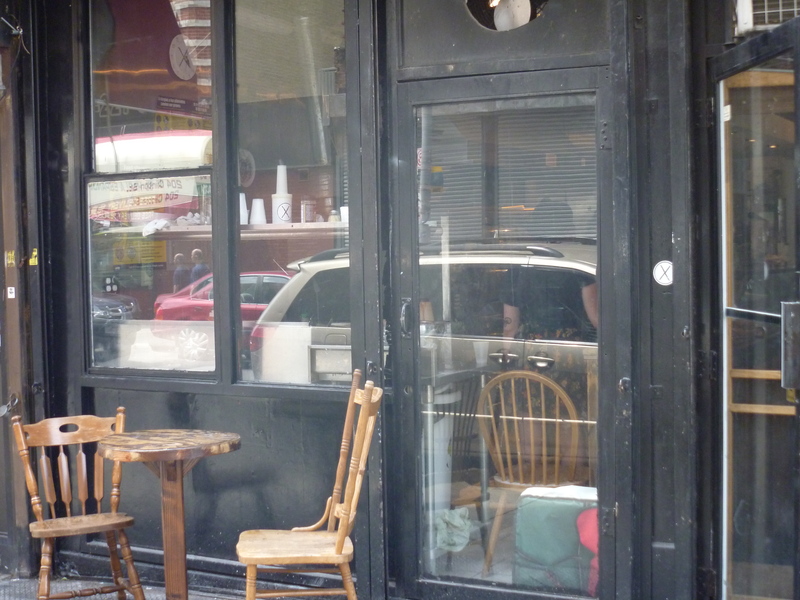 Over here on the far reaches of the Lower East Side of Manhattan we have been historically pizza deprived. By which, to be clear, I mean good pizza deprived. There is a pretty good place on Clinton, but in order to get there from our place you have to cross the highway-like Delancey street. Too much of a barrier for a slice. I want something close, really close. We used to have a Two Boots which we loved, but it didn’t go over well and was soon replaced by a Mexican restaurant. There has been a fairly good place on Clinton between East Broadway and Henry streets, but it closed really early like 7 pm nightly so if you wanted a slice after 7 you were out of luck. 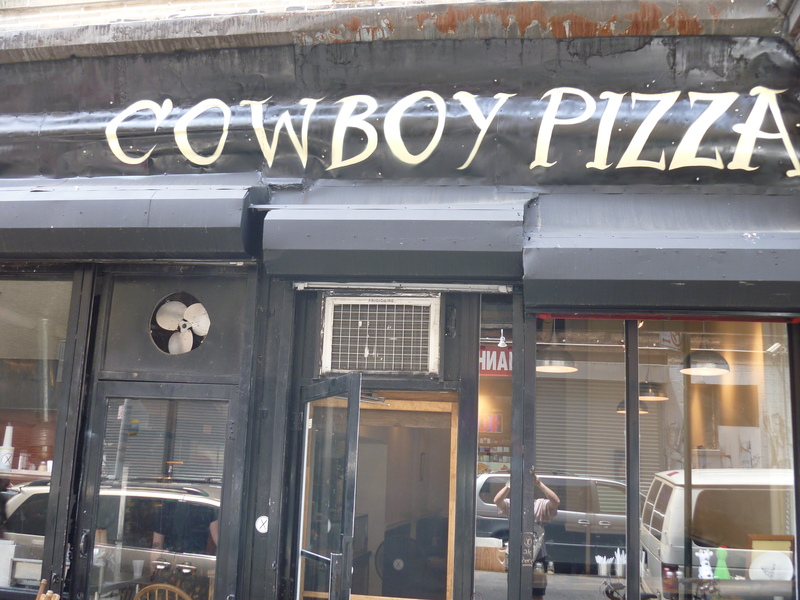 Thankfully the folks who own Pushcart Coffee saw a niche that needed to be filled and purchased the old pizza place, gave it a Williamsburg facelift and Ta Da introducing Cowboy Pizza open from 11-11 daily. Neil is going to be so happy! 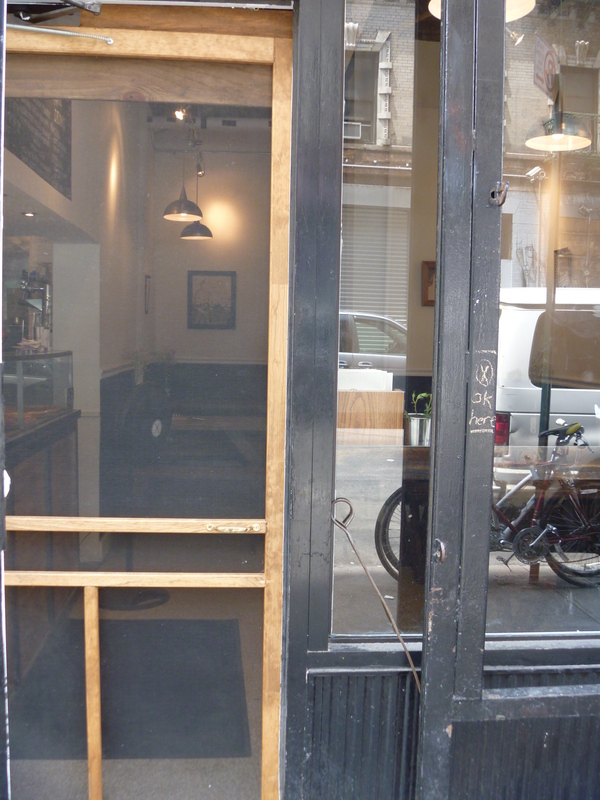 This entry was posted in NYC and tagged Cowboy pizza, Lower East Side, Pushcart coffee. Bookmark the permalink.